A few weeks ago on Intstagram I shared that I have been making my own almond milk kefir and a few people asked me to write a post about how I make it. I am a fan of eating probiotics because they do wonders for you gut. A few months ago I tried adding dairy based lactose-free kefir in to my diet and to be honest it constipated me in the worst way. Because of that I began to research dairy-free kefir alternatives and came across The Cultured Food Life blog which is a wealth of information. I was and still am shocked at how easy it is to make kefir if you follow a few key steps and avoid using anything metal. When I first started making kefir my results were hit and miss and I couldn’t figure out why until I realized that I was either stirring the mixture with one of my metal chopsticks or using mason jars with metal lids…I later learned that using metal is a no no because the kefir culture reacts poorly to it. In order to avoid metal lids I ordered THESE jars from The Jar Store (such good prices) and haven’t had a problem since, though I will say that pouring the kefir out of these jars can be a little messy (live and learn). (IMAGE 1) Pour 4 cups non-dairy milk (I use almond milk) into your glass vessel along with 1 packet of freeze dried Kefir starter (like THIS one) and 1 tsp of sugar. Since we are not using dairy based milk that contains sugars, you need to add some, but don’t worry about any extra carbs because the culture will eat the sugar. Stir using a wooden or plastic spoon. (IMAGE 2) Place the lid on the vessel and allow it to sit on the counter for 12-24 hours until it looks like image 2. 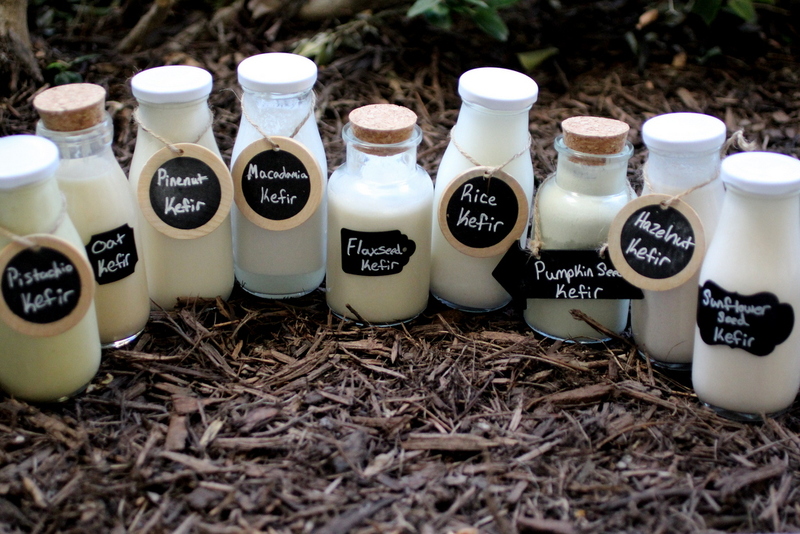 How long it takes for the kefir to mature will depend on how warm it is, etc. Once the kefir is done place it in the fridge. (IMAGE 3) This is what the kefir looks like after it has been in the fridge for a day (it thoroughly disgusts my kids!). (IMAGE 4) Stir-up the kefir and you are good to go. 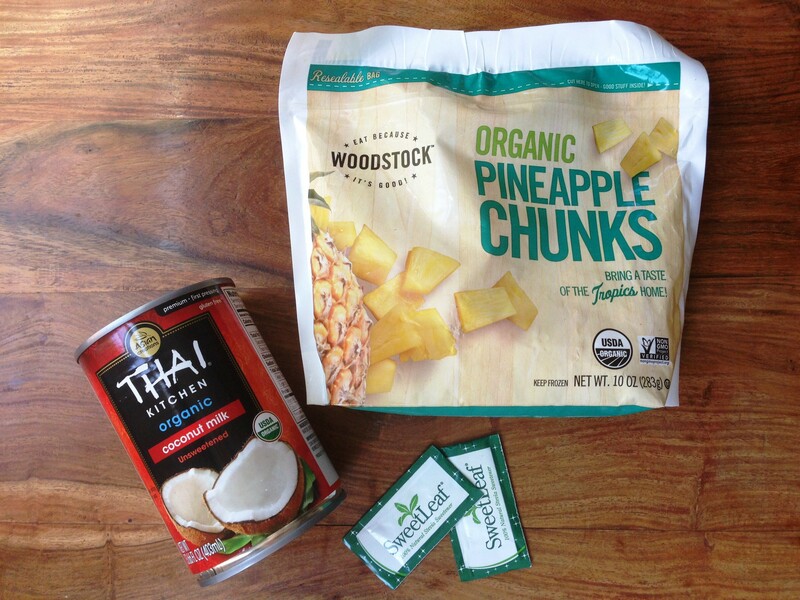 I use it mostly in smoothies, but have also used it in my homemade protein bars. It is really simple to make more kefir. When you have about 1/2c of kefir remaining, add 1 tsp of sugar, 4 cups of non-dairy milk, and leave it out on the counter again. It will take a few hours more for the kefir to cure since it started out cold from having been in the refrigerator. I can make kefir this way 5-6 more times before starting the process all over again with a new packet of freeze dried starter. I have used several brands of yogurt/kefir starter and they all have worked well. I am interested in trying to make kefir with real kefir grains because once you have those you can use them indefinitely. image above of different types of non-dairy kefir is from Cultured Food Life. One of my nutrition clients was just mentioning how much she loves the cauliflower oats I posted about on my Instagram page and thought I would share it with all of you. I know it sounds weird, but you really don’t taste the cauliflower at all and it majorly ups the volume! I also like to mix riced cauliflower (HERE’s how to make it…you can also buy it at Trader Joe’s) in with rice because again, it ups the volume you get to eat and you primarily taste the rice. Toppings: Nut butter (Crazy Richards is my favorite*, fruit, shredded coconut, raisins, dried fruit, OR go the savory route and top with veggies and protein, hot sauce, etc. Cook the oats, water, and cauliflower on the stove over medium/high heat until it comes to a boil. Once boiling, reduce the heat to low and cook until your desired level of thickness. Whisk in the egg whites and cook for another minute. Turn off the heat, put the lid on, and let it sit on the stove until you are ready to eat it. Oftentimes I will make the oats at lunchtime and then will leave them on the stove with the lid on and not eat them until after dinner. If you know you won’t be eating them for a long time, obviously store the cauli-oats in the fridge. My nutrition client LJ posted this recipe from the Power Hungry blog on our Team Facebook page and I loved the simplicity of it. With 5 ingredients (all of which you can pronounce) these bars go together in a snap. 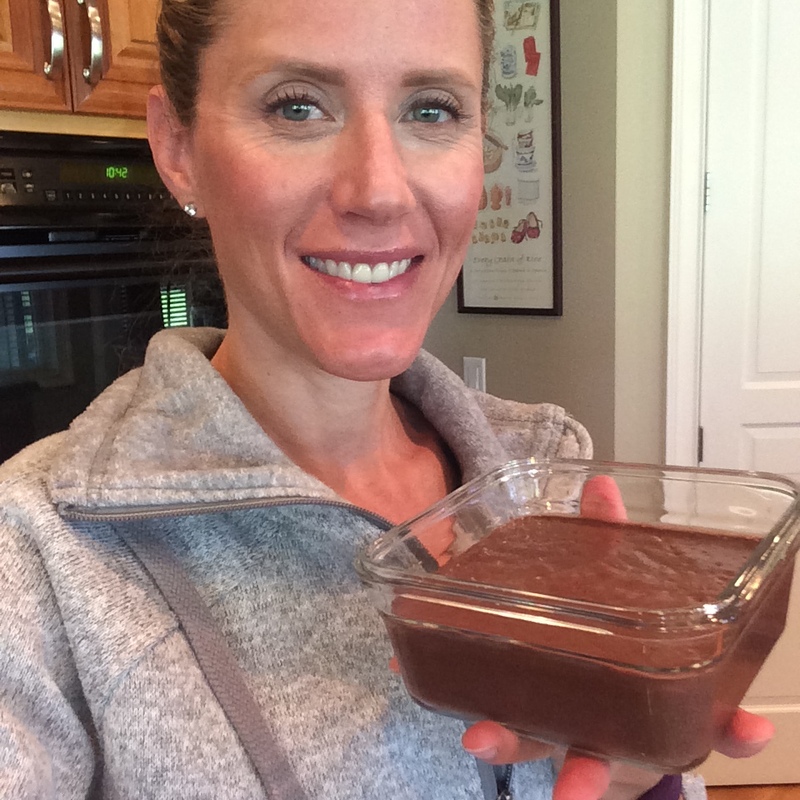 I whipped-up a quick batch and these protein bars have been a savior for me the last few days since I have been crazy busy and have been eating on the run a lot. An added bonus is the fact that these are really filling. The only modification I made to the recipe was to use 1 cup of almond milk versus the 1 1/3 cups the recipe called for. Years ago I learned to always add less liquid initially to a recipe than it calls for because you can always add more if necessary and you can’t UNadd liquid once you have too much. Ingredient-wise I used Trader Joe’s gluten-free old fashioned oats, unsweetened almond milk, Crazy Richard’s Crunchy PB, Kirkland vanilla, and PlantFusion protein powder in Cookies and Cream. P.S. If you are interested in giving Crazy Richards a try use the coupon code FITQUESTMOM for 10% off. 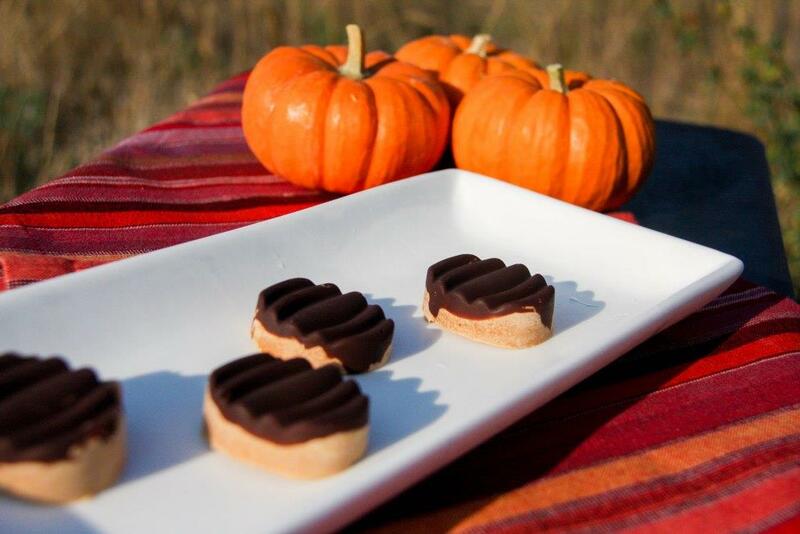 I teamed-up with Nuts.com in an attempt to make Halloween less scary for your waistline. Nuts.com has been working hard on their Healthy Snack Page and I am happy to help spread the word. Of course when you think of Nuts.com you think of nuts. One of the world’s best flavor combos in my opinion is PB and C. Who doesn’t love peanut butter and chocolate (other than my very own daughter…what???). I set off on a quest to make a healthier peanut butter cup / peanut butter fudge and the results taste amazing if I do say so myself. My son offered to eat all of them (such a kind boy). What’s even more awesome is how quickly these come together. It’s up to you whether or not you add chocolate. These cups / fudge taste great either way. If using the chocolate, place 4 grams of chocolate into each of the 10 candy molds (I used THIS one). Microwave in 15 second increments to melt (you have to be REALLY careful not to burn the chocolate in the microwave). Once sufficiently melted, spread the chocolate and place the mold into the freezer. In a double boiler melt the cacao butter, chocolate, and peanut butter powder stirring constantly with a whisk. Once melted, remove the molds from the freezer and divide the peanut butter mixture evenly between the 10 candy molds. Place the candies in the fridge to set-up. Store uneaten candies (if there are any) in the fridge or freezer. This recipe couldn’t get any easier. 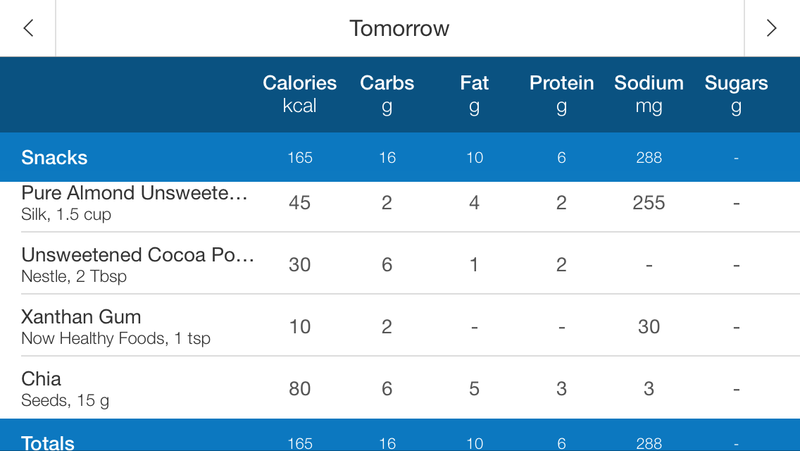 I have been eating this for dessert lately and can’t believe how good it is for how few calories there are. 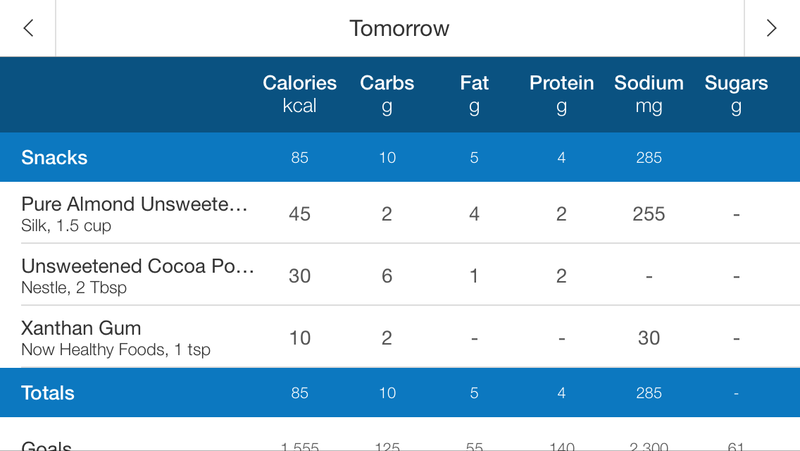 Is it the exact same as regular pudding taste-wise?…No, but it is pretty darn good. Place the almond milk, cocoa powder, xanthan gum, and stevia in the blender alond with 4 drops of organic flavor (if using). Blend until nice and creamy. If adding chia seeds, pour them into the blender with the pudding and pulse very quickly (you want to mix them in, but not blend them). When I make the pudding with the chia seeds I like to pour the mixture into a container and put it in the fridge to allow the chia seeds time to expand. Eggplant used to intimidate me. I was always told that if you didn’t prepare it right the eggplant would turn out bitter, so I think I avoided making it myself and just stuck to ordering it when I went out to eat. This year I decided to plant Japanese eggplant in my garden, so I guess that meant I would have to learn how to work with it. I have one Japanese eggplant plant in my garden and it has just gone nuts. I pick at least 10 eggplant on a weekly basis! 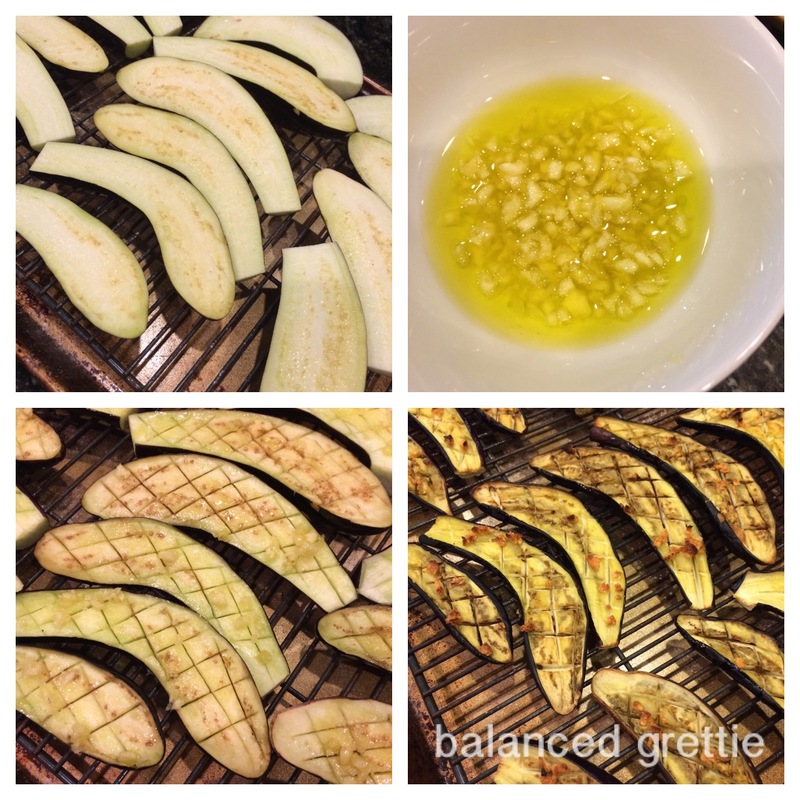 When I had my first eggplant harvest I did a quick search for recipes and found THIS one on the Real Healthy Recipes blog. I simplified the recipe by leaving out the lemon since I like to prepare a ton at a time and want to be able to use it throughout the week for different purposes (not every meal lends itself to lemon). I also use about 1/2 that amount of oil and found that I only need to roast them for about 18-22 minutes (maybe my eggplant are small?). The first time I made this recipe I roasted the eggplant for the full 40 minutes and found them too be a little too mushy for my taste. Scoring the eggplant as she suggests really allows the garlic flavor to get in there and they turn out so pretty. Head on over to the Real Healthy Recipes blog to find out the method for preparing this yummy eggplant dish. 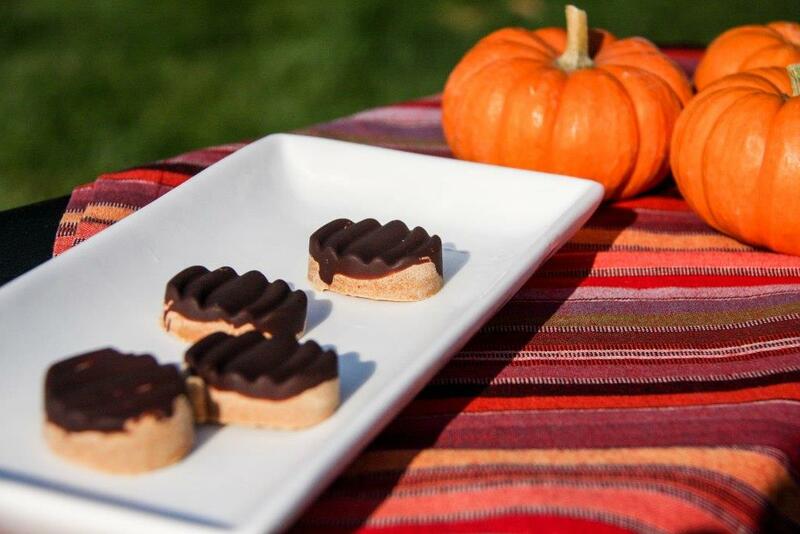 Click HERE for the printable recipe. A while back I saw a Pin on Pinterest that looked really good. 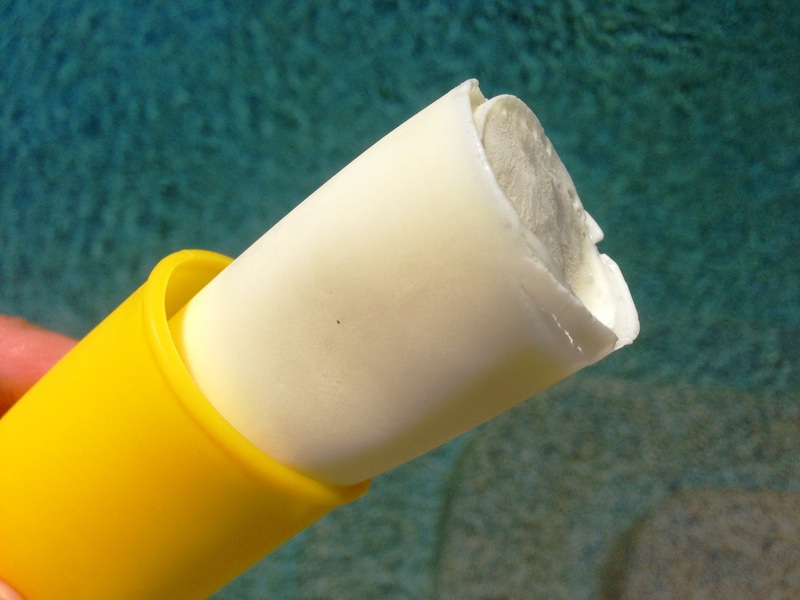 That pin served as the inspiration for this wonderful Tropical Popsicle….they are so simple and taste REALLY good! 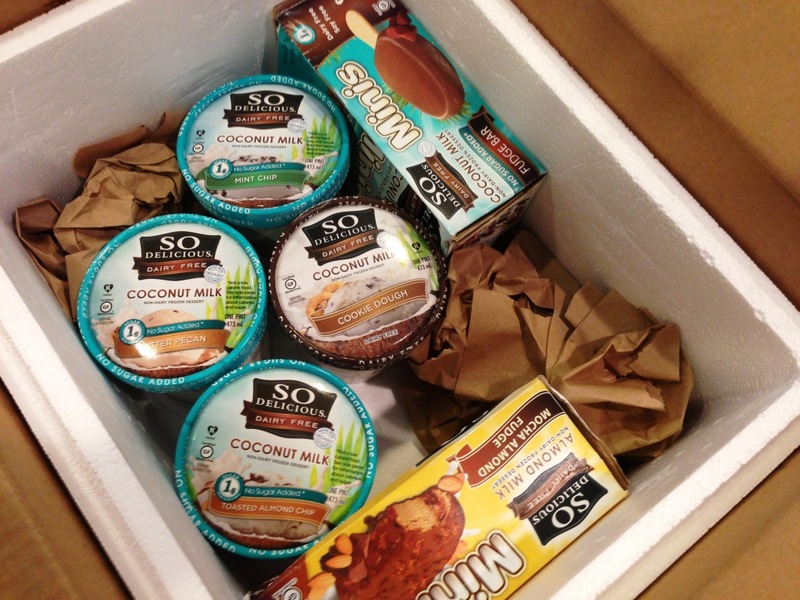 Warning: If you don’t like coconut, these aren’t for you! Blend the above ingredients in your high speed blender until fully incorporated. It is always fun to receive packages in the mail, especially the ones that are gifted to you. 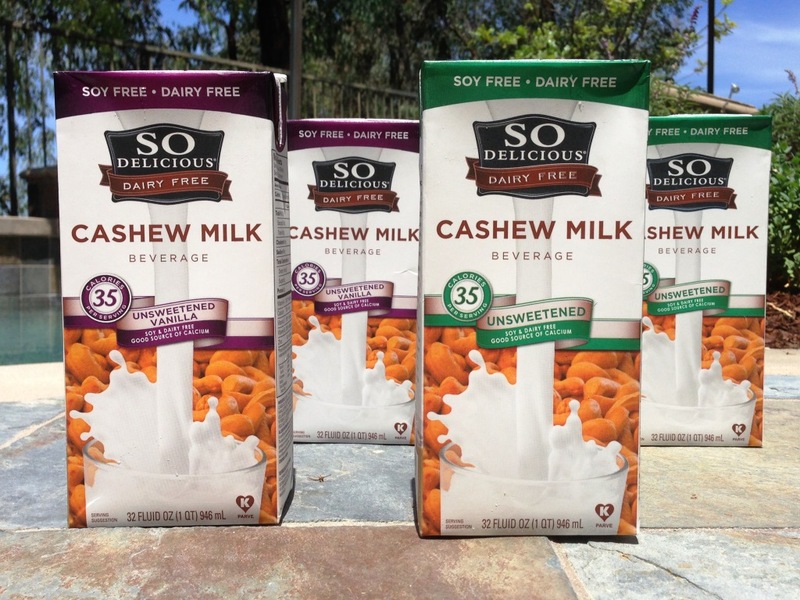 So delicious has done it again and upped the ante by sending their newest milk…Cashew Milk! This shelf-stable milk will be available nationwide in stores beginning this month and the suggested retail is $2.49. We love cashews around here. The love runs so deep that I have to restrain myself from eating them by the handful(s) since we all know nuts are not a treat we can eat in unlimited quantities (though I wished they were). The new cashew milk is creamy and flavorful, which will make it a perfect addition to my morning smoothies (especially the unsweetened vanilla flavor). Since it is made from cashews, the fat content is high (30 of the 35 calories are from fat), but since I wont be drinking it by the glassful, I am not worried about it. I can’t wait to make my Mac and Cheez with the unsweetened original flavor. So Delicious has made good use of monkfruit from which the fruit extract is 300 times sweeter than sugar. Thanks to this wonderful fruit, the “no sugar added” frozen treats they sent us have only 1 gram of sugar per serving. My daughter is over the moon about the Fudge Bar Minis. The timing of this treat couldn’t be more perfect since she has been feeling left out this summer as she watches the local kids nosh on Fudgsicles. I know BOTH of my kiddos are going to go nuts for the “world’s ONLY gluten-free, dairy-free, and egg-free cookie dough ice cream“…it is going to be a serious spoon war between the two of them. Summer is here for my kids…yay!!! School just got out and I couldn’t be happier. I just made these Egg-Free Paleo Macaroons and they are in the oven as I type. The macaroons came together insanely fast and I already had all of the ingredients in my pantry. If the batter is any indication, these are going to be amazing.